Provincial Dressage Judges Clinic (English & Western Dressage) to be tentatively held on May 6th, 2017 near Regina. The clinician will be Doreen Horsey of Calgary, AB. Cost and schedule will be posted at a later date. 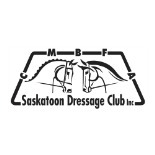 Please contact Laurel Golemba at the SHF Office at 306-780-9490 or technicaldirector@saskhorse.ca to be pre-registered for this clinic. This would be a great educational opportunity for riders, coaches, judges & officials. This entry was posted on December 23, 2016 by KRaven in News, Uncategorized.